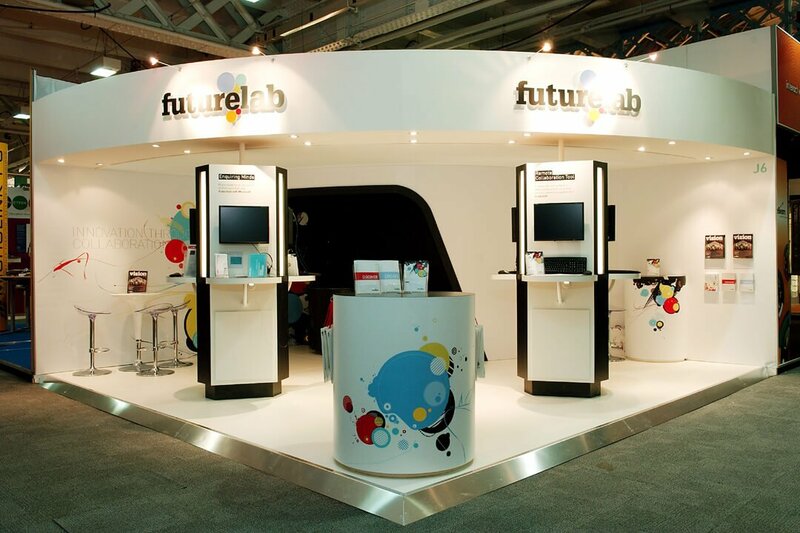 For Futurelab’s attendance at BETT, the UK’s premier Education exhibition, the brief was simple: To present their web based content on a series of web connected computer workstations in a simple laboratory type environment – but with bold and abstract graphics. Futurelab also required a darkened demonstration area for the launch of their innovative new interactive teaching aid. The stand was divided into two sections: An all white ‘learning lab’ built around two ‘Pods’ – each comprising of a three sided workstation networked together towards the front and main approaches – and a ‘theatre’ area to the rear where their new teaching aid could be revealed and demonstrated to invited delegates under light-controlled conditions for maximum effect. Full Circle’s design studio worked with Futurelab to develop the free-form imagery applied to the walls and counters on a wide format, environmentally friendly substrate that they were subsequently able to re-use at their offices in Bristol. 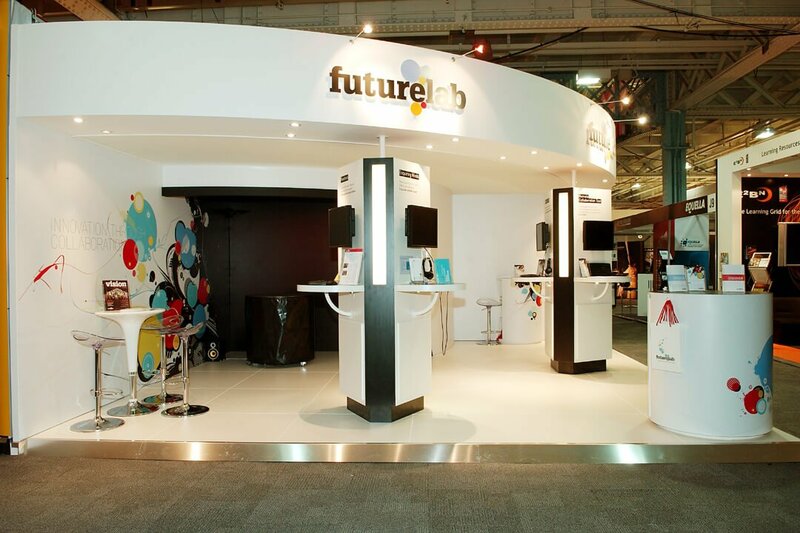 This was Futurelab’s most successful show ever at BETT in terms of attracting people to their stand and lead generation.